Last weeks's field trip to Museum Village was really fun, educational and an overall good time. 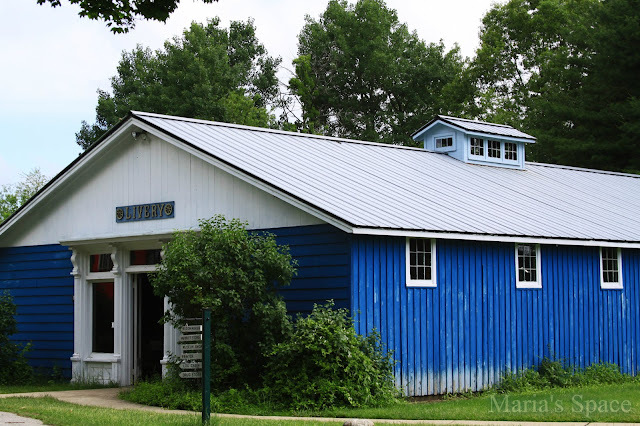 I loved this building with it's blue siding. It was a museum of old vehicles including a sleigh, and a funeral carriage which the girls were a little nervous over. There are more photos from my trip here and here. 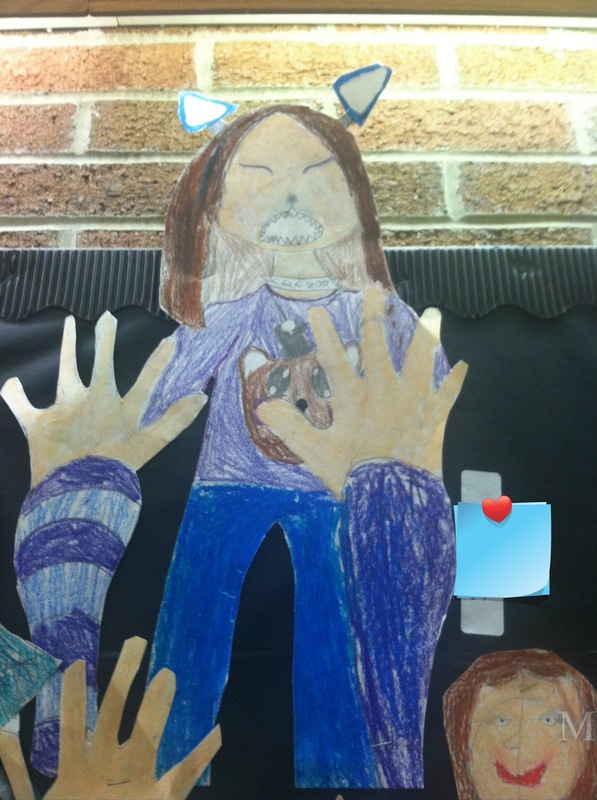 This is Goddess' art work from school. I need to talk to her art teacher and see what the concept is but I am sure it is an interesting one. I had my own vision of the concept.... it could be so many different things. 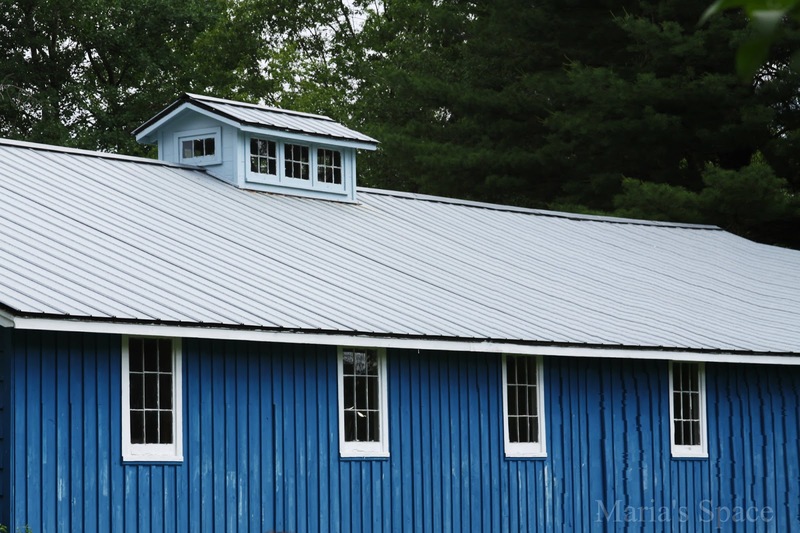 And, that blue building... wow. Very colorful. Creative post and fun shots for Blue colors! Lovely shade of blue. I'm glad you shared it. Thanks for playing today. Perfect color for that siding. You might think of it a pastor with members giving praise. You never know what is on a young person's mind. Wonderful blue on that livery stable! Interesting artwork...I'd be curious to know what the concept was as well.